Shi Bench Desking + Te provides your office numerous possibilities for personal working space, but it can also create a common place where work and emotions can be shared in teams. Screen supported Shi Bench Desks + Te offer the modern office the freedom to break up open plan spaces into specialised areas and departments. 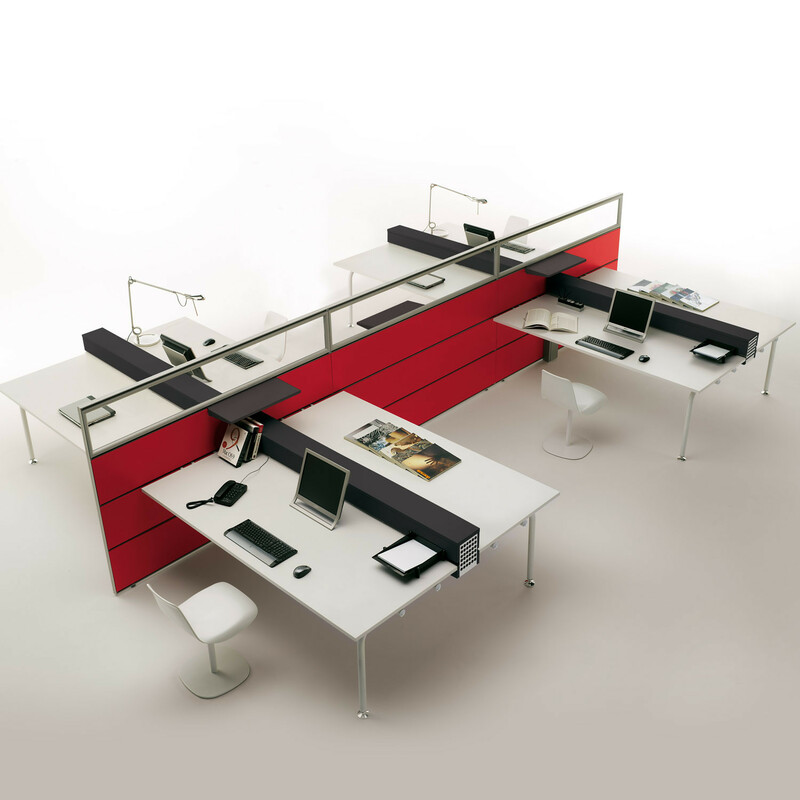 The horizontal rails of the Te04 partition allow maximum flexibility and make changing desk positions easy so that the wiring can be accessed easily. 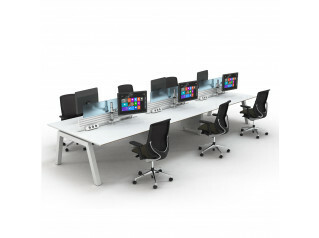 Shi Desk Range also comprises the Shi Bench Desks. View more furniture by Apres Furniture. You are requesting a price for the "Shi Bench Desking Te"
To create a new project and add "Shi Bench Desking Te" to it please click the button below. 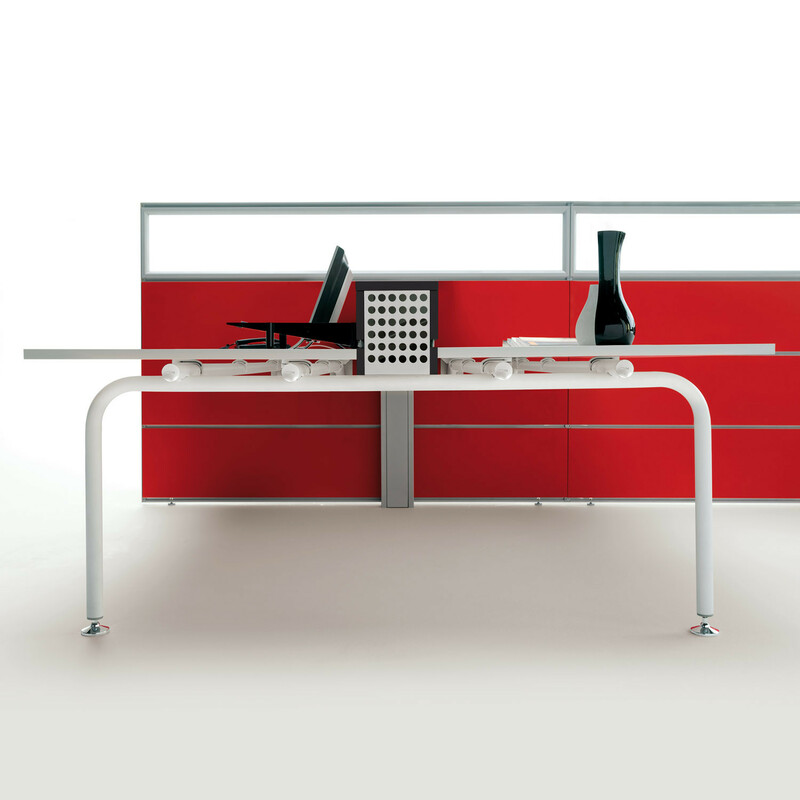 To add "Shi Bench Desking Te" to an existing project please select below.